We carry all types of Miami-Dade and Florida Building Code Approved Hurricane Shutters including: Accordion Hurricane Shutters, Rolling Hurricane Shutters, Storm Panel Hurricane Shutters, and Impact Glass Windows. For years Owner Michael Cooper and his professionally and trained staff have been providing what you need against these storms: Protection!. Our shutters also give you the protection you need against vandalism and conserve energy as well! In recent years, tropical waters have gotten slightly warmer, resulting in a massive increase in the frequency and severity of hurricanes and tropical storms. This means that if you are not yet prepared for a hurricane, it's time to get ready by calling Gold Coast Hurricane and Fence. Gold Coast Hurricane Shutters and Fence specializes in custom storm shields for any window or entrance, no matter the size or shape. We are a direct resource of professional knowledge and superior products, not only for home and business owners, but architects and builders as well. We are one of the largest, most technologically advanced installers of storm panels, accordion shutters, roll-downs, Bahamas, and colonials available on the market today. As a result, our customers obtain the highest level of hurricane security available at the most affordable price. Gold Coast Hurricane Shutters and Fence is a family owned and operated company with over 20 years of experience in the industry. Gold Coast manufactures, supplies, and installs a large variety of Hurricane Protection Products. Gold Coast is one of the largest (by volume) Accordion Shutter Manufacturers in the world. All of Gold Coast Hurricane Protection Products are Miami/Dade or Florida Building Code Approved. Gold Coast also offers a full line of Fence, Aluminum Balconies, and Gates in any design, style, or color. Gold Coast will provide Superior Workmanship and Quality Service for all of your specific needs. All of our products are engineered to meet or exceed all Building Code Requirements. 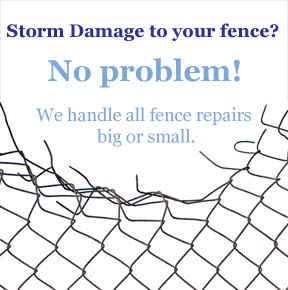 South Florida's residential Hurricane Protection and Fence Company, Gold Coast provides services for the country's largest and most respected Home Builders and Commercial Contractors. Gold Coast Shutters and Fence is a customer service oriented company that believes in 100% customer satisfaction.